Am I ready to endure the 4 hour land travel and 4 to 6 hours boat ride? Can I withstand motion sickness? Well, you should be. 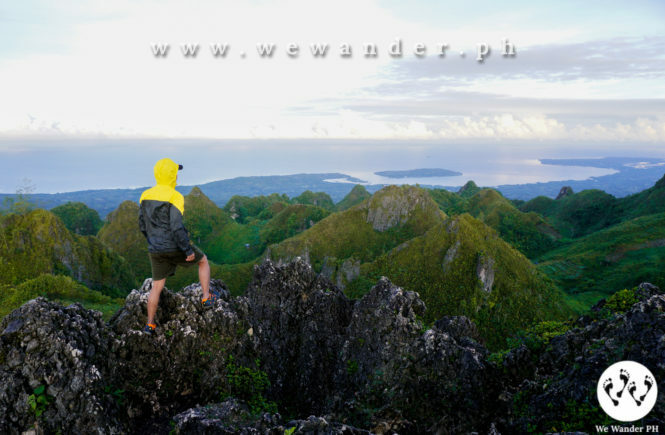 The far-flung island of Jomalig is worth all the efforts, patience and money. 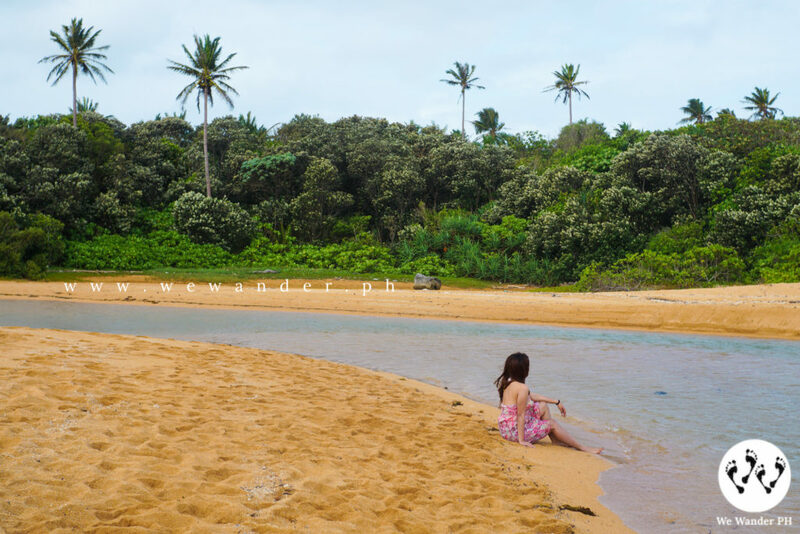 Known for its golden sands, Jomalig is catching the hearts of many. But, it’s not just about the golden sands. Experience it and you’ll realize why. Let’s talk about getting to Jomalig first. Raymond Bus offers daily trips to Real, Quezon. 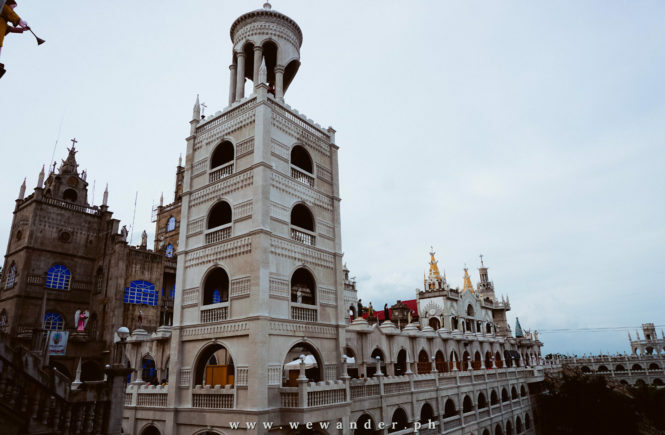 It is located in Legarda, Manila near Legarda LRT station and Arellano University. There are air-conditioned and ordinary buses with schedules from morning to evening. Travel time from Manila to Real, Quezon is 4-5 hours. It is safe to come as early as 9pm to catch the earliest possible trip. From our experience, we arrived at 11pm and missed the last AC bus trip and opted to ride the ordinary bus which left the terminal at around 1am. Bus schedules may not follow the regular hourly trip as it depends on the volume of passengers. The next schedule is around 4am or 5am. Fare is P168 for ordinary and around P200 for AC bus. If you didn’t make it to Raymond Bus, there are two van terminals that you can ride on. They are walking distance from Raymond Bus Terminal. Fare is P220. We arrived at drop off point in Real, Quezon at 5am and grabbed the tricycle ride going to Ungos Port. Fare is P10 per person. Once in port, you will be asked to pay the terminal fee of P10 and P400 ticket for boat ride going to Jomalig. The amount includes a light meal that will be served during the boat ride. Please do not expect a fancy meal. They are somehow just add-ons to fill your stomach. Boat capacity may accommodate up to 70 passengers depending on the boat. For convenience, choose the upper deck where you can lay down so you can sleep well. The boat usually serves as carrier to transport local commodities. Expect to have some delays before they leave the port. We left Ungos Port at 7:30am and braved the waters to Jomalig for 4 hours, way faster than the average made possible by M/B Jovelle. The ride can be rough, bumpy and inconvenient. And if you have problem with motion sickness, prepare yourself for this adventure. 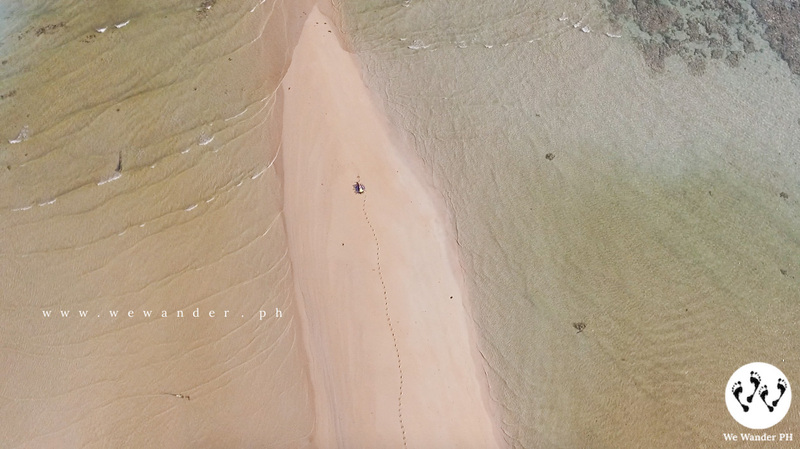 At around 12noon, we stepped on the infamous golden sands of Jomalig. And to tell you, without a doubt, they are stunningly beautiful. Naturally fine, powdery and long stretch of golden sands. We paid for the environment and tourism fee of P170 and welcomed by the resort owner herself, Ate Ningning. Make sure you arrange your accommodation in advance. If your resort is not close to the port, habal-habal transport is your way to get there. Payment is P50 per head for the nearest resort location. 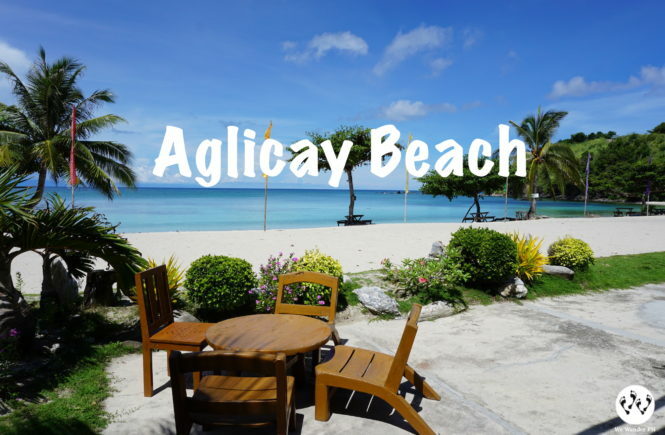 We stayed at Apple Beach Resort for our 3D2N Jomalig itinerary. 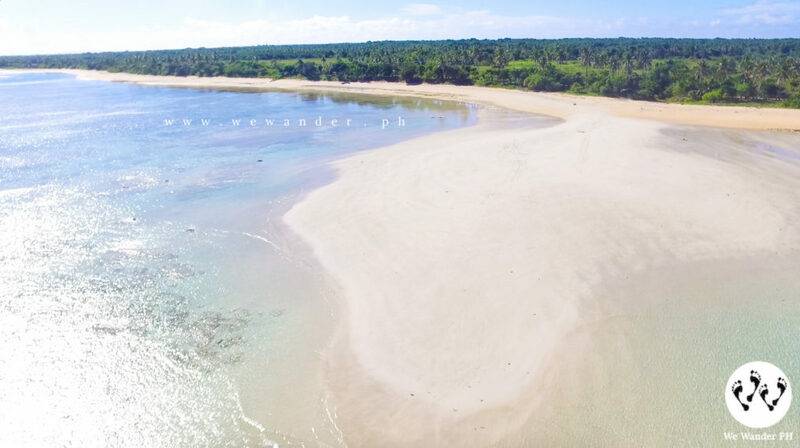 Jomalig is becoming one of the travelers’ bucket list around Quezon due to its unique appeal and raw beauty. With increasing number of tourists, there are now options for resort and room accommodations. Our visit in Jomalig is not well-planned so a few days before our arrival, we had a hard time looking for resort since they’re all fully-booked. 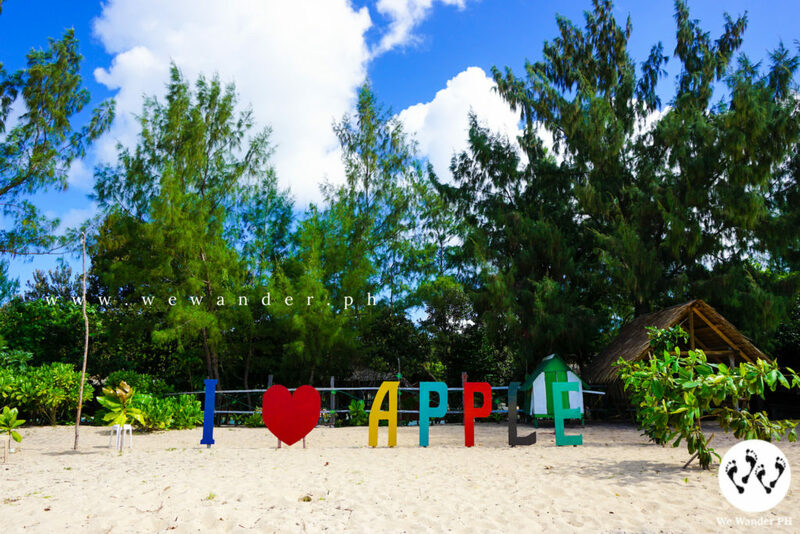 Luckily, after calling and messaging a number of resorts, we found Apple Beach Resort. And it totally left us flabbergasted! Why? Because Apple have their own private access to beach and sandbar. Plus, imagine riding an improvised raft made from styrofoam to cross the river to reach the resort? Isn’t that exciting? Yes, it’s unique and really gladdening. Fee is P5 per head. Please say hi to Tatay David Pamplona for us. He’s the one pulling the rope to let you cross the river. Talking about the accommodation in Apple, they have simple Kubo-style cottages good for two persons, group of five or even more for P500 per night. 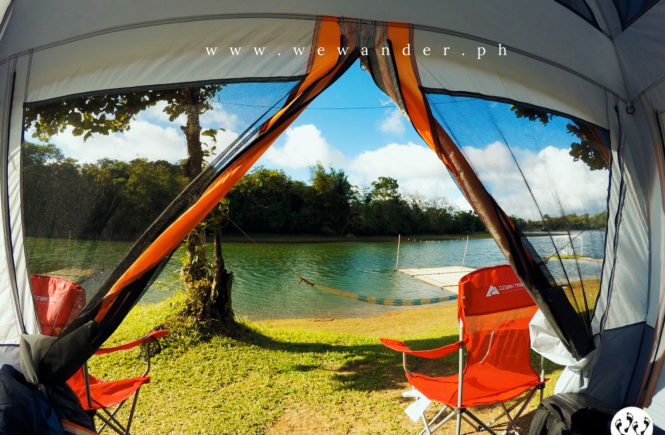 You can bring your own tent and pay for P50 pitching fee and if you wish to use their tent, you’ll only need to pay P200 for 3D2N. Other than this, there is an entrance fee of P100 per guest. You can bring your own food without corkage fee. For hassle-free stay, you can order your food from them for P100 per meal for unli-rice and unli-dish. They serve seafoods like adobong pusit and fried fish, native tinolang manok and ginisang sayote with carrots. We spent our first day in Apple basking under the sun and dabbling through the crystal-clear shallow water of the front beach. What’s more special in this resort is that, you can fully enjoy the day in the beach all to yourself. And, the owners Tatay Polits, Ate Ningning and their sons and the rest of the resort staff are very accommodating, kind and friendly. We even shared some drinks and learned about the history of Jomalig. Did you know that Jomalig is derived from Filipino word “Humalik” or to kiss? The legend says that there were two couples and the man scoured the whole island for him to kiss the girl. Sadly, after he kissed the woman he love, he died. From there, the island was named Jomalig (pronounce as hu-ma-lig). The following day, Apple arranged the habal-habal for us. The tour is P600/head, fixed rate with assigned driver. You may look for Morres and Maui, our habal-habal drivers. After breakfast, we headed out to start the tour. 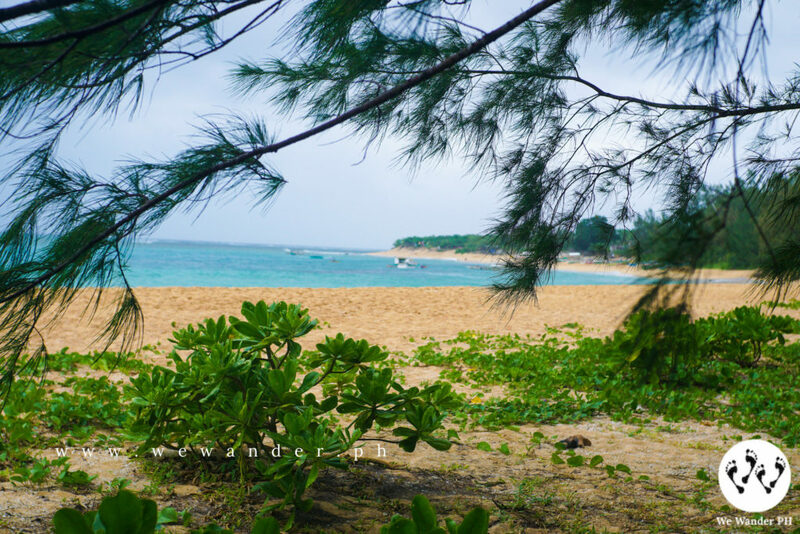 There are two ways to explore the island of Jomalig. One is thru island tour by boat and the other is with habal-habal. Get the habal-habal tour for a real adventure! With habal-habal, you’ll get to see the whole island and witness the local’s normal daily life. 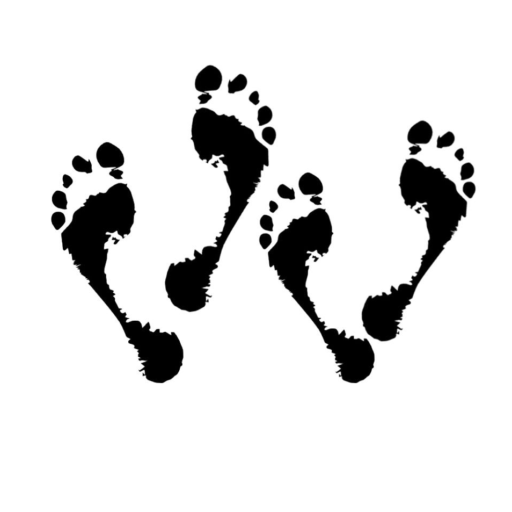 You will see those kids playing outside with their bare feet playing billiards, basketball or just running around. Notice that every time you cross along the streets, people will glance at you, greet you and send you their warmest smile. Experiencing and witnessing these are something that made each of our trips unforgettable. It’s not just about the place, but, the people living in it. Maui knows the whole island and offers to tour around beyond the common itinerary. Our first stop is the Salibungot Beach. Normally, people will have it as their last stop. Knowing that, we got our eyes on it and enjoyed the crowdless Salibungot. 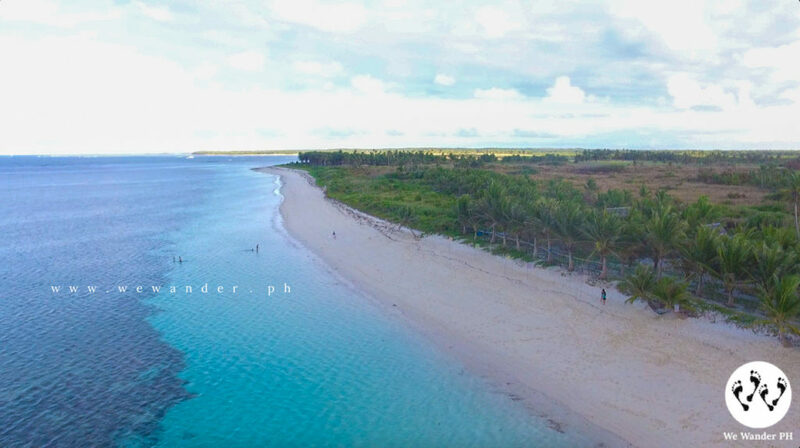 This is known as the main beach of Jomalig located near the port and boasts one of the most beautiful landscape in the island. It has a long-stretch of golden sands harmonized with unending waves. This is also where the “WE ♥ JOMALIG” sign is placed. Previously, pitching of tent on this area for day or overnight stay is allowed but due to irresponsible tourists that ruining the place by leaving their trash, the local government of Jomalig prohibits it. Visiting Salibungot Beach is free and perfect for sunset viewing. 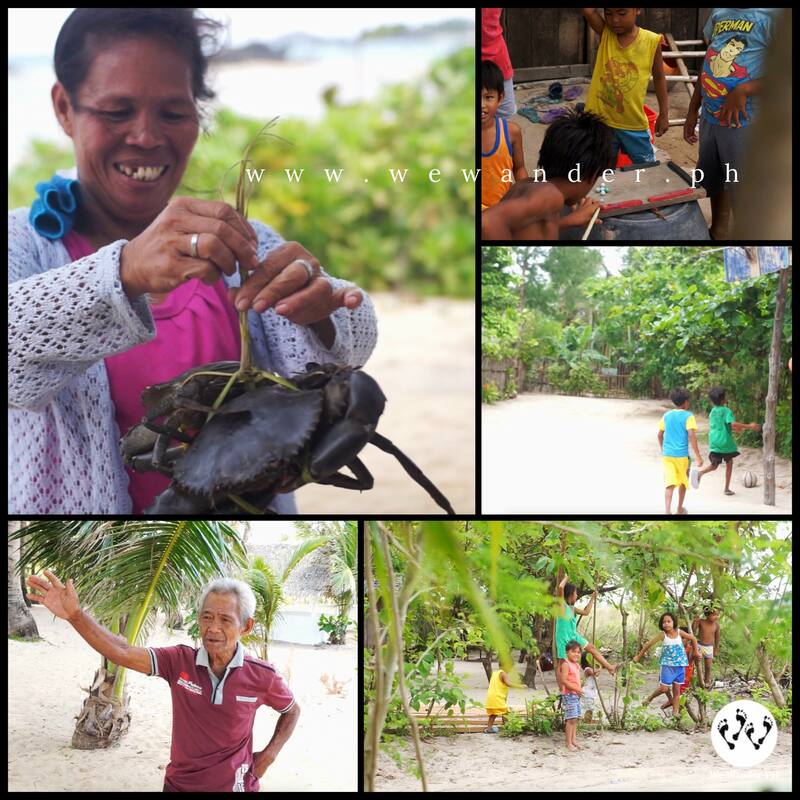 To help preserve the beauty of Salibungot and the whole island of Jomalig, we encourage everyone to maintain its cleanliness and pick up any trash you will find around the island. 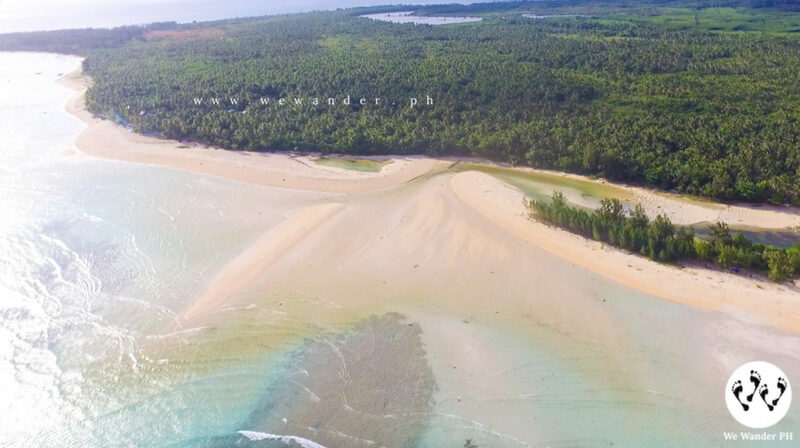 This sandbar is 15 minutes away from Salibungot and not usually included in the habal-habal tour. Buton is a spade-shaped white sandbar drawn closely along the shore. 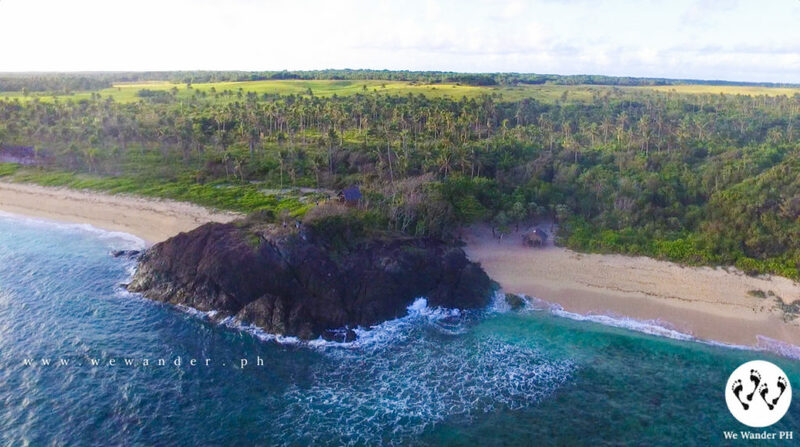 You may ask our habal-habal driver Maui to take you here. The farthest destination in your tour. This is commonly the first spot to visit and may take 1 hour to get here. If you have an action camera with you, do not forget to capture the habal-habal ride especially when you cross along the towering palm and coconut trees. 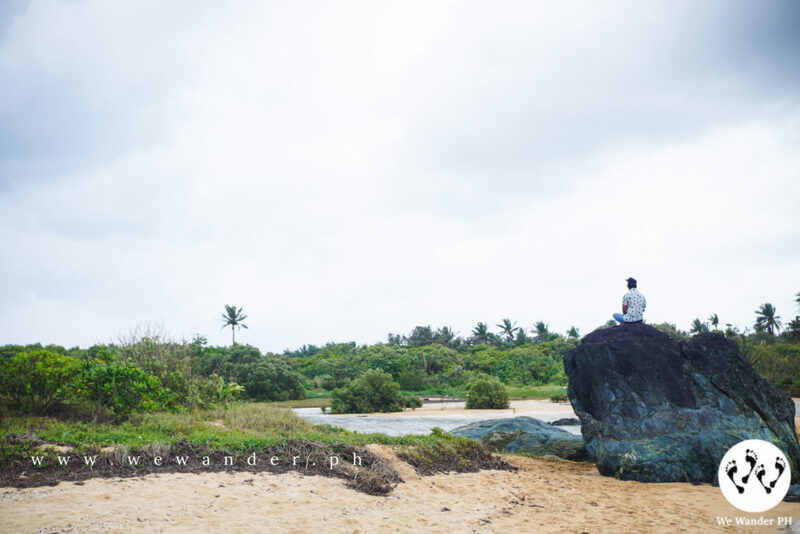 Kanaway Beach is known for its superb rock formations most especially the Turtle Rock. As the name implies, it has a shape of a turtle. Kanaway is one of the favorites because of its vast sandbar and countless rock formations perfect for photo shoot. Entrance is P30. 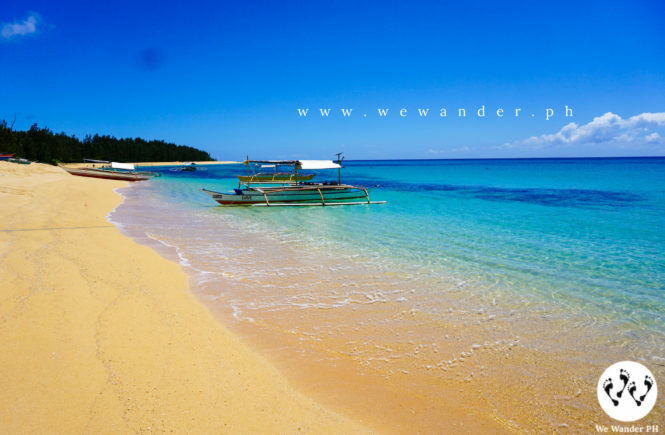 Most of Jomalig Island’s beaches are blessed with golden sand. Then, what’s the catch? 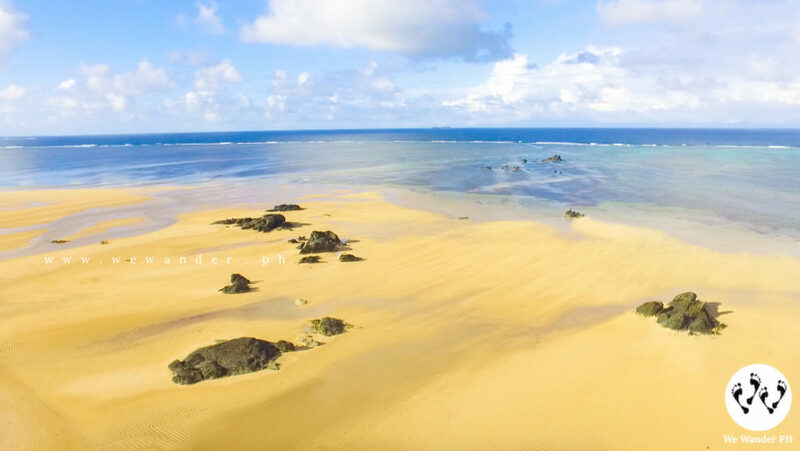 The Golden Sand boasts its entire sand and rock formations and a river connecting to the sea. Take a look at this aerial shot to give you that clear view of this place. An entrance fee of P30 is being collected in Golden Sand so make a worthwhile stay and slay the photos you need. You can have a quick swim but be careful, the waves may be challenging at times. This place is popularly called as Little Batanes. 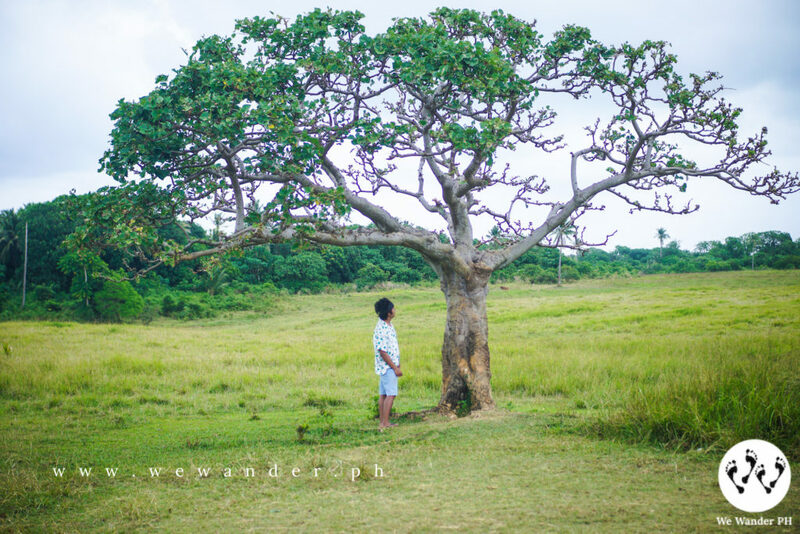 If you’ve gone to Batanes, you’ll know the similarities. The presence of cliffs, the strong wind, the waves crashing against the rocks, the cove and the stretch of white sand beach. Yes, Jomalig is proud to have all of these in one place. The visit is worth for P50 entrance fee. 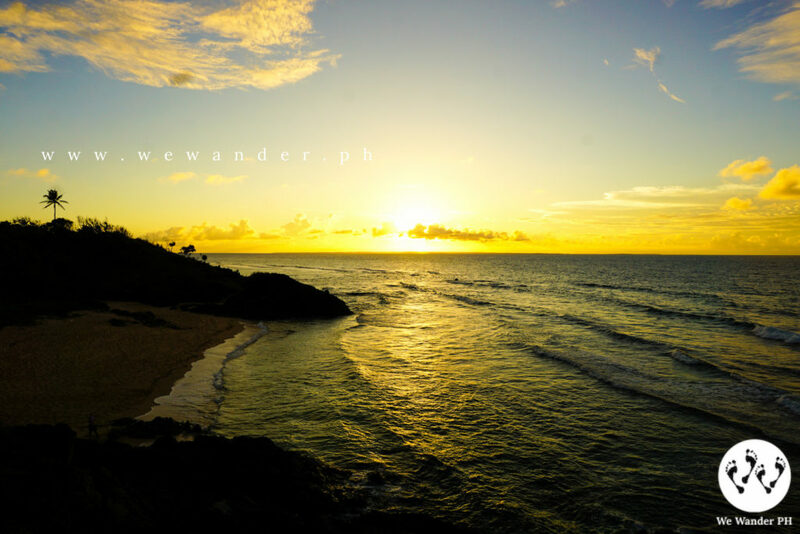 Sunset in Lingayen Cove is unobstructed which will give you a dramatic scene. We can’t contain our happiness when we get to Little Boracay of Jomalig. 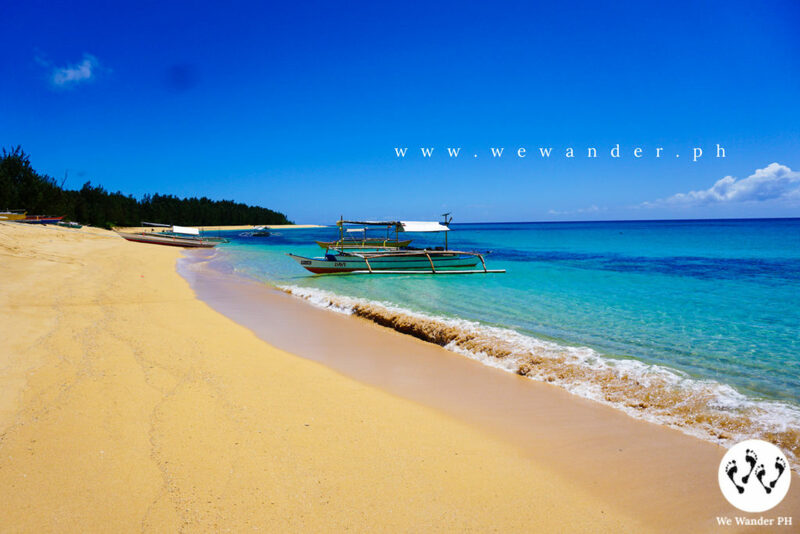 Comparable to the famous Boracay because of its white sand beach and turquoise water. This is the best place to take the plunge and enjoy swimming. We stayed here for about 1 hour. Hats off to Pamana Beach Resort for keeping the place clean and well-maintained. There are bottles tied in the trees to serve as trash bins for cigarette butts, candy wrapper and the like. Great idea! one of our favorite spot, tire swing! Filipinos are naturally witty. 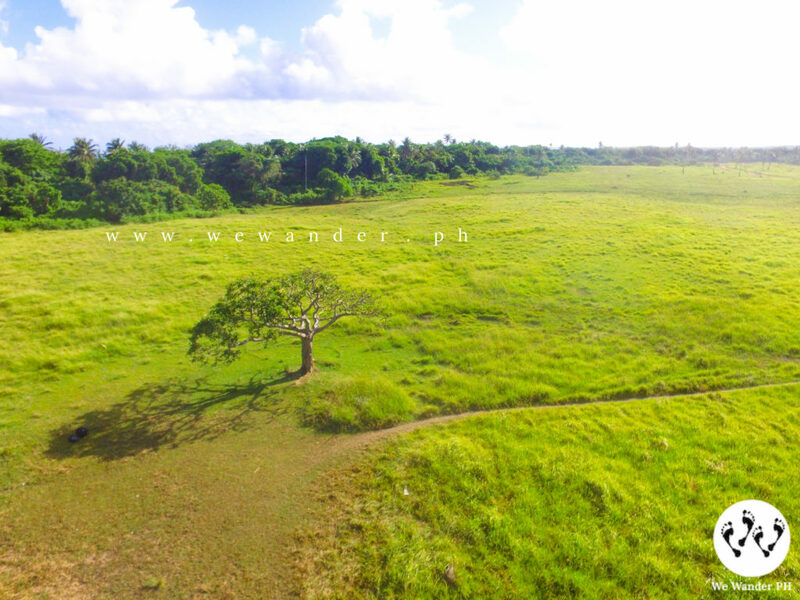 Even this lone tree in the middle of the green field has now been considered as a tourist spot. The name “Puno ng Walang Forever” could mean that there is no forever in love and that those in a relationship will break up soon. Haha! Just like this tree, you’ll be left alone and broken. That’s rude! No entrance for this one, all you need is the best possible pose to give justice to this tree. The habal-habal may take half day or longer depending on your stay on each spot. We started at 7am and finished at late afternoon around 4pm and returned to Apple’s Beach Resort and immersed in the water again until sunset. The benefits of staying in Apple’s is that, you have the time to enjoy yourselves without worrying about the food, the accommodation or your stuff. It’s the time of your life to treat yourself, de-stress and be happy the way you wanted it to be! 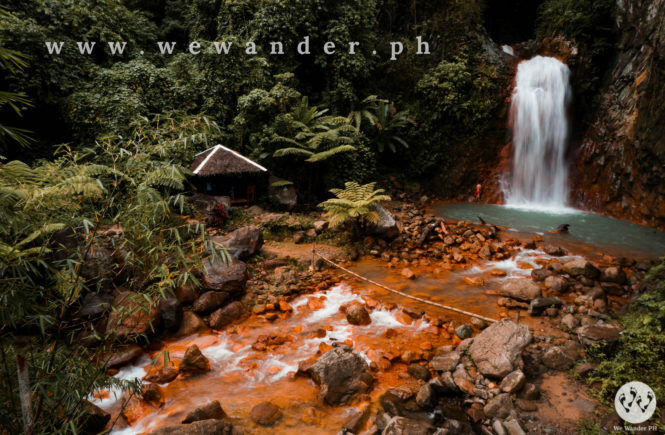 Typically, you will notice from events or tour package offering 2D1N Jomalig itinerary. Yes, it’s possible but exhausting. 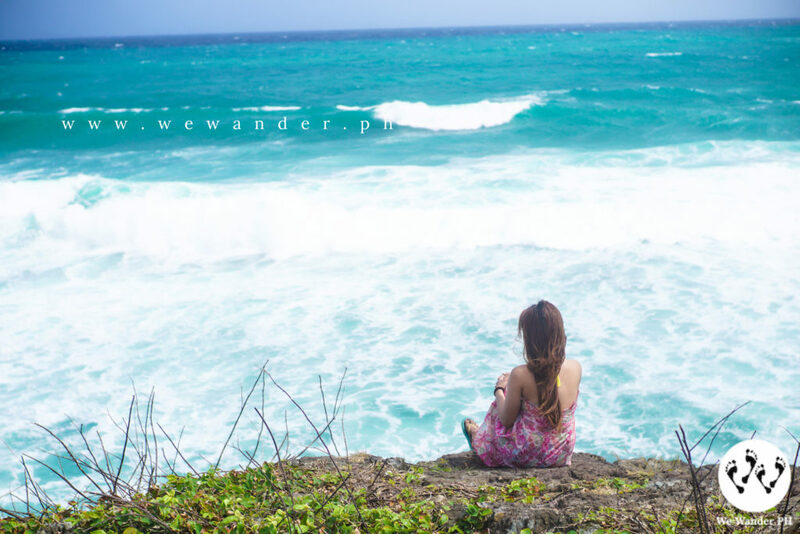 Here’s the reasons why you need to consider staying a little longer in Jomalig. Travel time from Manila to Real is averaging from 4 – 5 hours. You will leave Manila late in the evening and you’ll arrive at Ungos Port in Real at around 5AM or earlier. The boat may leave at 5Am (if you get the earliest trip) or 7AM and 10AM the latest. From there, the boat ride may take 4 hours the fastest and can take 6 hours or more if the weather is not that good. Estimated time of arrival in Jomalig is around 12noon or early afternoon. Total travel time may range from 9 – 11 hours. Too long! The first half of your first day was allocated for travel (land & sea). 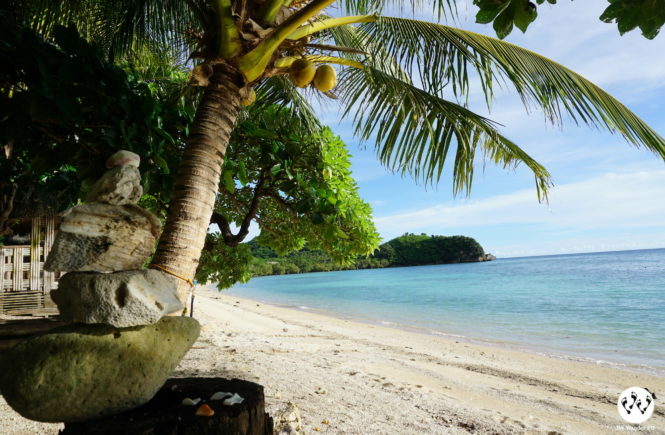 To make the most out of your money, you need to do the island tour or habal-habal tour on the same day you arrived in Jomalig because the following day is your scheduled return to Manila. This means, you will have a very limited time to stay in Jomalig’s tourist spots. We need to be honest that 9 or 11 hours of travel time, land and sea travel time combined are not a joke. Yes, we may enjoy the trip especially when we are with our friends, family or your partner. But, it’s very exhausting! You may not feel it at first but the load will hit you afterwards. You will be satisfied. Yes, because Jomalig is truly wonderful and fulfilling. But if you want to experience traveling not just represented by pictures or videos, the other way to do it is to mingle, socialize and experience the life of locals. Doing this may need time and that time may affect your 2D1n itinerary. 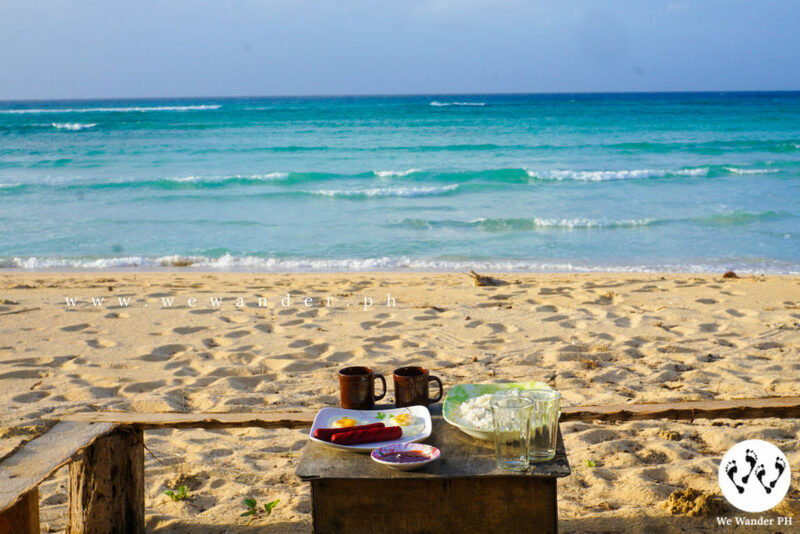 Summer is the recommended time to visit Jomalig for higher chances of getting the best weather. But, even summer has an unexpected twist of bad weather. We had a rainy afternoon on one of our days in Jomalig that prevented us from exploring it more. It even reached the morning of our scheduled return in Manila which resulted to a lot of challenging events. There are limited boat schedules from Jomalig to Real and other tourists with the same schedule will force their way to buy the tickets to secure their boat slot. There is a chance that you wont be able to buy yours which means, you will be required to extend your stay in the island. Another thing is the boat itself. We witnessed that there are cases that the boat may experience malfunction. Unfortunately, this will cause delay and affect your itinerary especially when you are still heading to Jomalig. 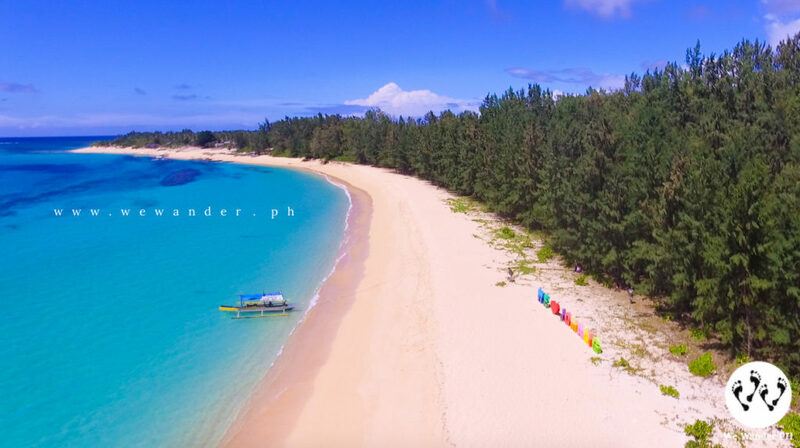 The local government of Jomalig is aware of the increasing number of tourists visiting the island especially during the recent holy week that reached to two thousand visitors. They are looking into plans how to designate and limit the capacity of the tourists. This is to ensure that everyone will enjoy their visit without sacrificing the convenience and getting the tourist spots congested. The island of Jomalig can be explored using the local habal-habal ride. The reason is that the roads are narrow and undeveloped that only motorcycles can pass through them. The local government is continuously requesting the National and Provincial government to aid them with the funds to build and improve the roads throughout the island. This is essential in the future to enable jeepneys and vans to accommodate the visitors for the island tour. They know that tourism is most likely be associated by garbage problems and this is something that they’re working on to preserve the place. Also, the Sangguniang Bayan is pressing on to pass the regulation to implement the Zero Plastic or disallow the use of plastic in the island. Check this detailed expenses guide for your 3D2N Jomalig adventure. The amount is per head basis and considers the accommodations, your food and the habal-habal tour in the island. It may only change depending on your consumption of food, additional expenses for tips and purchase of souvenirs. To have a realistic budget, you need to consider the expenses for transportation going to Raymond Bus Terminal in Legarda (round trip) and the food you will eat before you reach Jomalig Island. The electricity in Apple’s Beach Resort is limited from 5pm – 12midnight but some part of Jomalig Island has a different power supply period. There are resorts with power generators. Booking and reservation for resort accommodation is a must especially during peak season. Come early in Raymond Bus Terminal to secure your desired time to arrive in Real, Quezon. Expect volume of passengers during weekends, holidays and peak seasons. Water-proof your bag especially your gadgets, money and important stuff. Wear your life jacket during boat ride or make sure that you have one when needed. Mobile network signal is poor at some places in Jomalig. Keep your friends and relatives updated. Take the tricycle or jeep ride from Real to Infanta Bus Terminal. Chances are, buses passing to Real are already full. Go to Infanta to secure your trip. 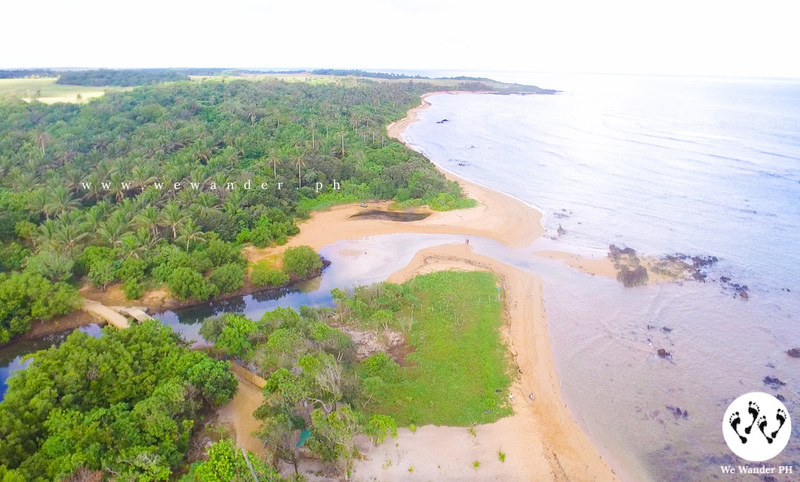 It is best to visit Jomalig during summer. Pitching of tent in Salibungot Beach is not allowed. Bring and apply skin protection. Help preserve Jomalig by maintaining its cleanliness. As much as possible, bring your trash with you when you leave the island. Leave No Trace. Hi goopm. May i know travel dates po? Hi pede kayang magsakay ng motor sa mga boats going to jomalig? No reservation po sa Ungos port. You need to be there as early as you can to secure the boat ride especially if Holy Week.